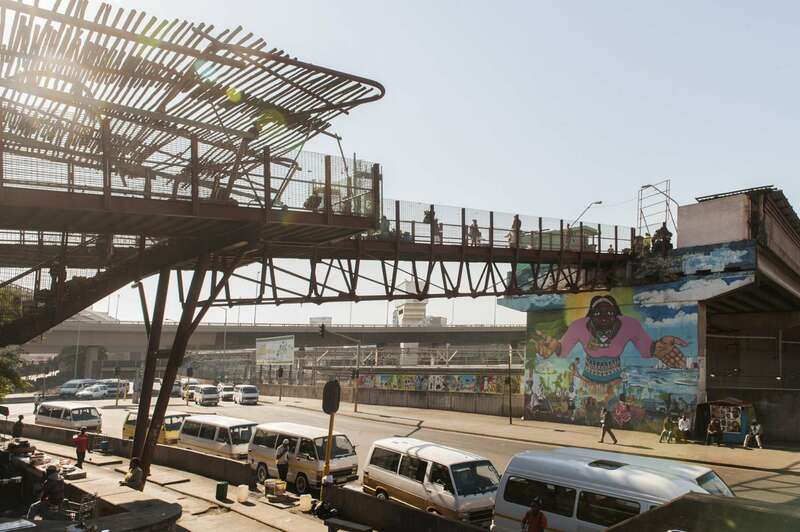 Bounded By Julius Nyerere Ave, KE Masinga And Brook St.
Due to its low-lying position, this triangular piece of land, located between arterial roads and the railway line, was for many years a marginal space, particularly during the apartheid era. 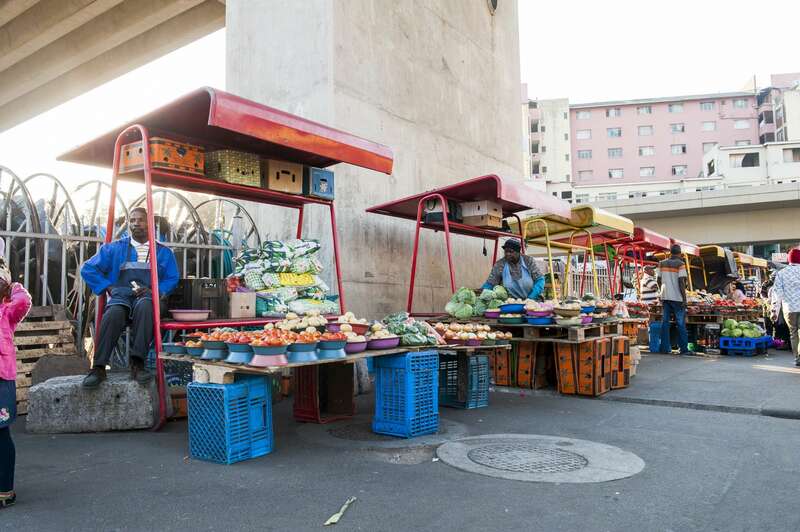 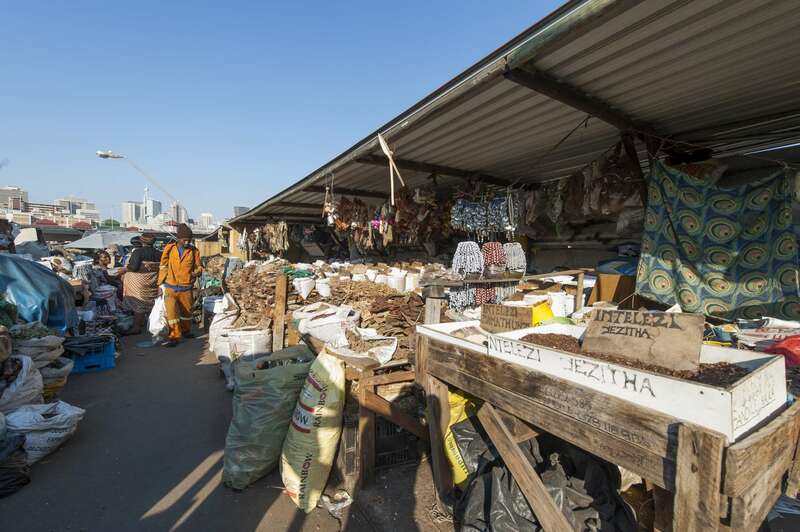 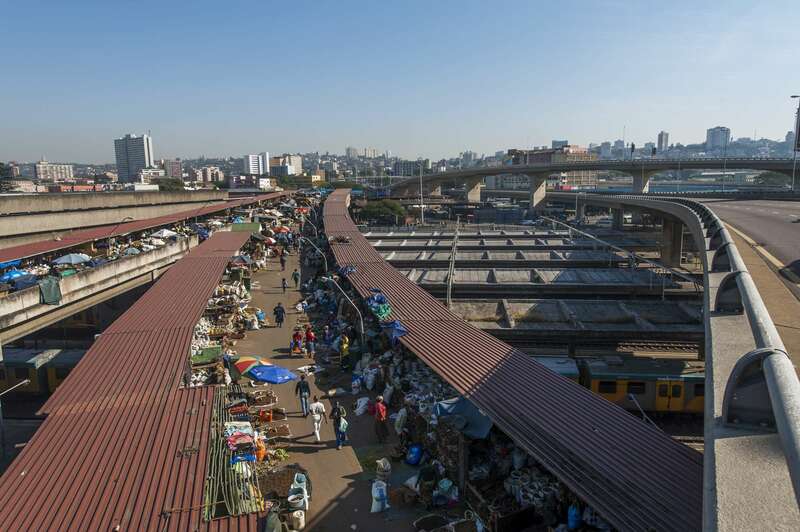 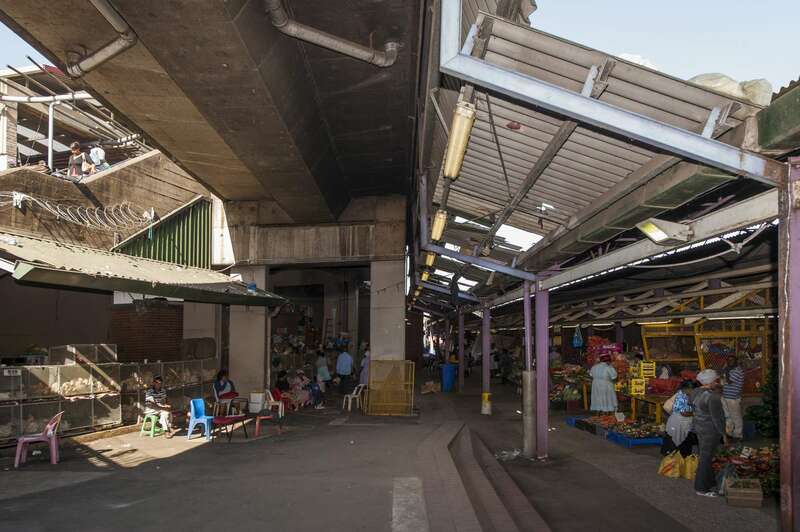 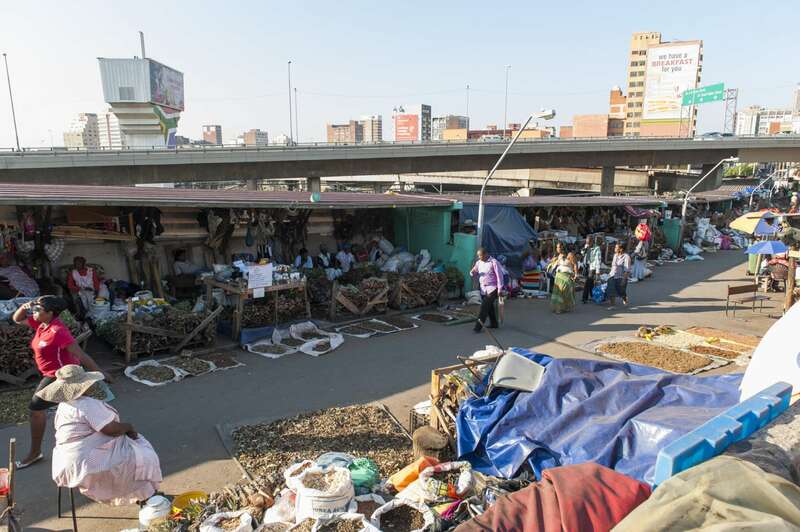 However the fact that it is a major transport interchange means that it has also proved ideal as a space for market and vendors, both formal and informal, since the late 1800s. 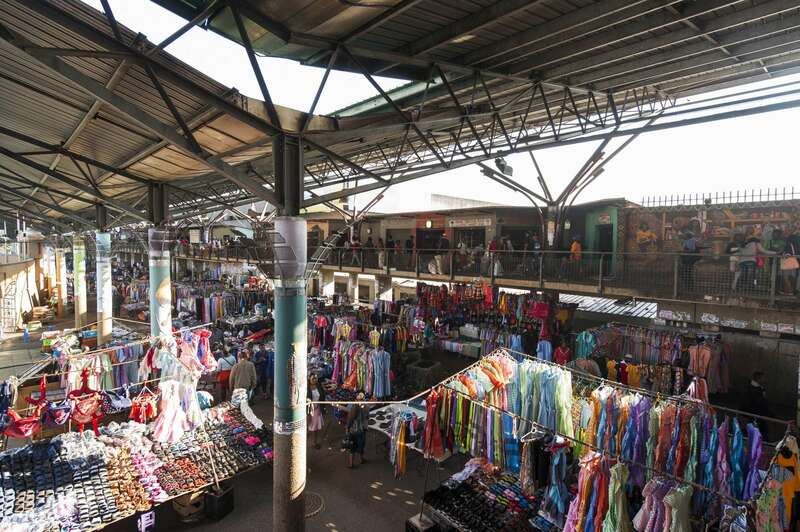 In need of a major infrastructural re-consideration, the developmental intervention, executed at the turn of the millennium, set out the framework and facilities for responsible and creative use of public spaces, as well as the co-existence of the various sectors of the economy, an essential component of South Africa’s transformation. 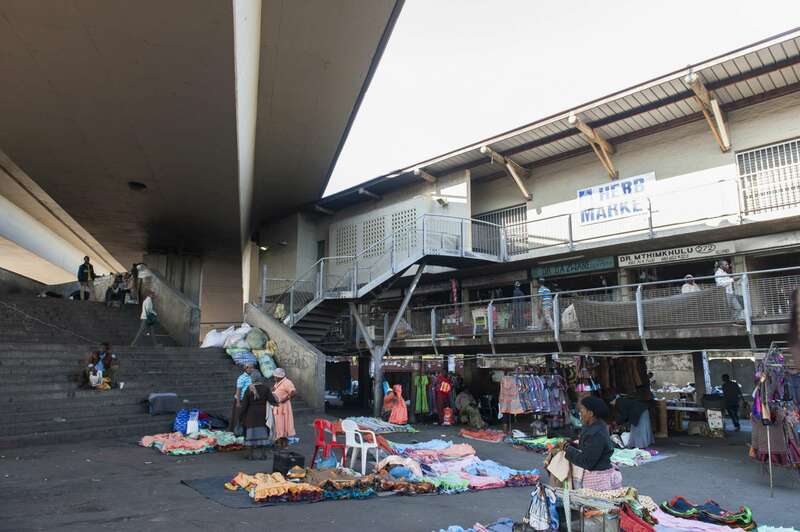 Ethekwini Municipality delivered the identified market projects in collaboration with numerous private sector architects.